Sometimes giving things a creative and yes, even gross names inspires little ones to try something new. 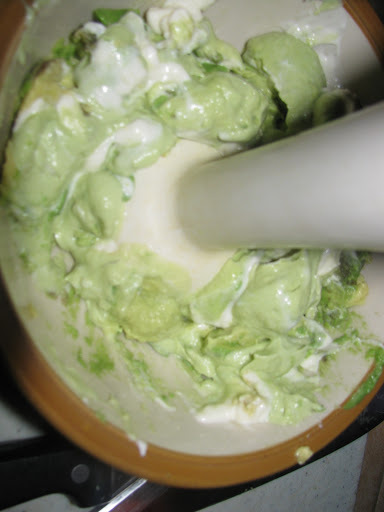 Shrek Sauce is nothing more than an avocado dip or spread. With a few variations to the recipe we enjoy this sauce as a sandwich spread or as an alternative to guacamole on burrito/taco night. Slice each avocado in half and give the pit a good whack with the knife, give it a twist and the pit should come right out. can use a hand mixer, potato masher, and if ripe enough, a fork. Mix away until silky smooth. much or as little as you like. 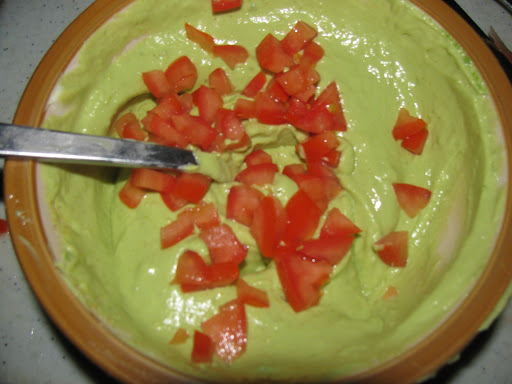 Serve with chips, spread on a tortilla, or use it as a sandwich spread. 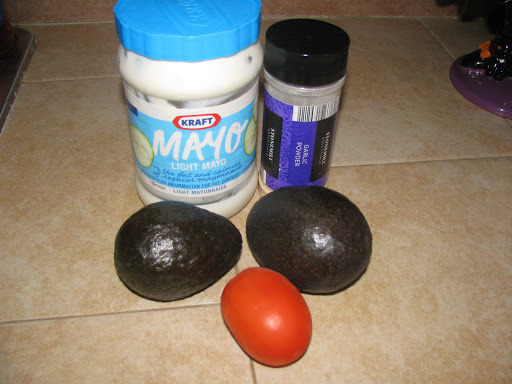 *To use as a sandwich spread I use just the avocado, tomato and mayo. 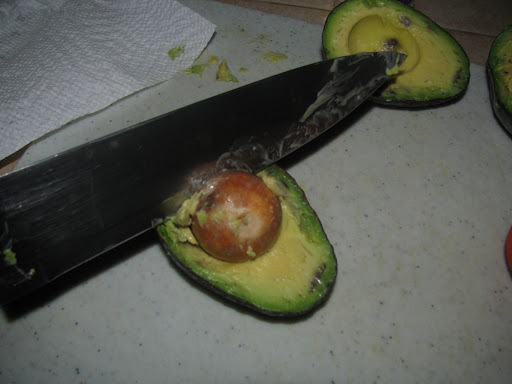 –Slice each avocado in half and give the pit the pit a good whack with your knife to easily remove it. 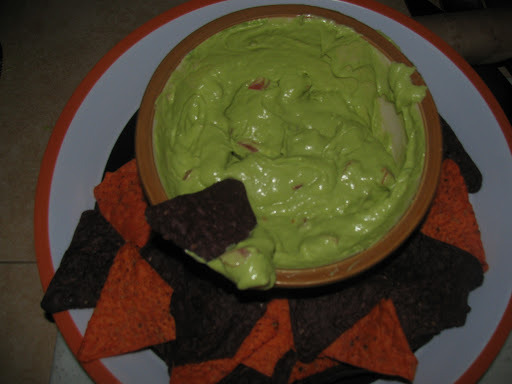 -Scrape out the flesh of the avocados into a bowl and add the mayo. This is a smooth sauce so I am using my emulsion blender. You can use a hand mixer, potato masher, and if ripe enough a fork. Mix away until silky smooth. –Finely dice the tomato and it and the garlic powder to the bowl. I used about a 1/2 tsp of garlic powder but use as much or as little as you like. Have you creatively named a food or recipe to make it more appealing or fun for your family? I would love to hear about it. Leave a comment or a link to your recipe, I would love to see it! Thanks for visiting!